The #AskAaron live chat as at 1 p.m. -- rather than noon -- today. See you all then (except @pbump who's not invited). 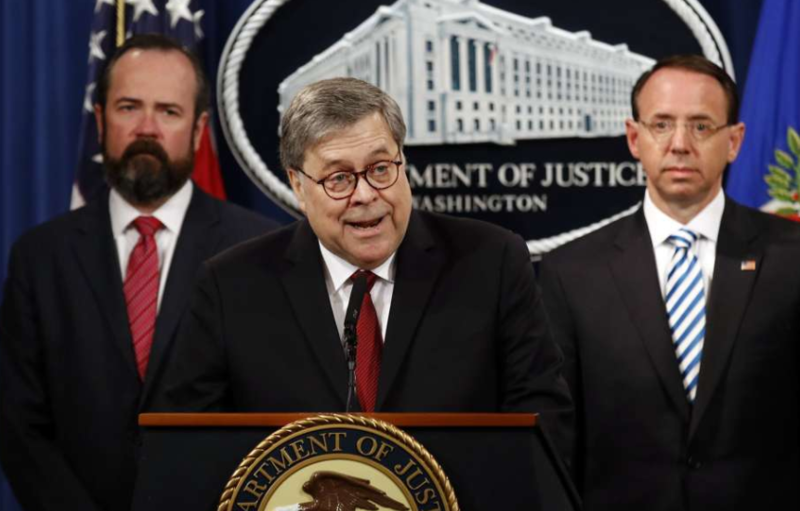 Anybody else keep seeing this image and thinking, "WHY IS RICK GATES THERE?" Have questions about the Mueller report? Submit them here, and I'll answer them all tomorrow morning. One thing the Mueller report confirms: Trump often asks people to offer false denials or take dubious action. Sometimes they do. Other times, they ignore him -- McGahn, McFarland, Lewandowski. That doctor’s children say it was done as a “favor” to Fred Trump. Imagine being tortured and dismembered and then having the president of the country that is supposed to hold your killers accountable instead repeat their smears against you while he gives them a pass. What happened in NC is apparent *election* fraud, not *voter* fraud. Calling it the latter will feed narrative that voter fraud is prevalent, when it's not. The laughter appears in neither clip.